Our service lasts about 75 minutes and follows a pattern that helps us retell the story of the Gospel each week with a variety of elements—singing, prayers, readings, preaching, and communion. Some portions of the service will feel contemporary and others traditional, some free-flowing and others scripted. We hope you find the service hospitable and inviting—whether you’ve spent your whole life in church or are attending for the first time. Please feel free to wear what's most comfortable for you! 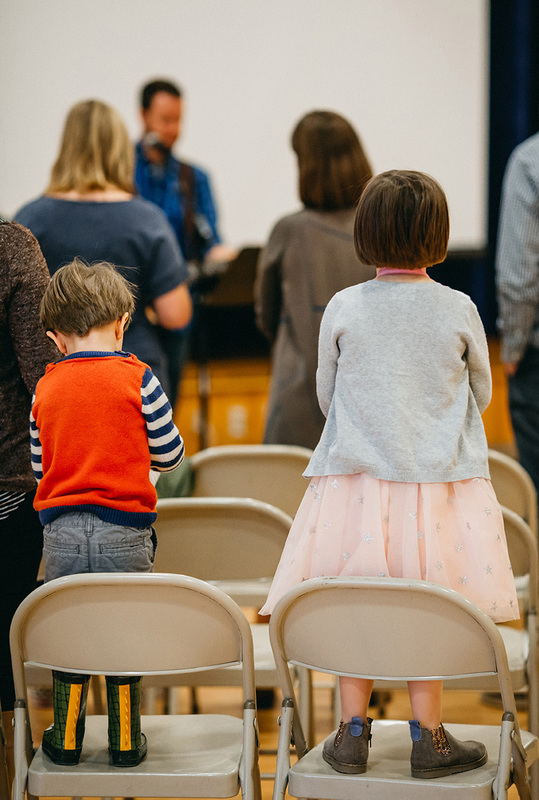 While we welcome children of all ages and abilities to remain with their parents in worship, we do provide childcare and a children’s worship time during the second half of the service for children ages one to five. We dismiss these children before the sermon, and parents pick them up in their classes after the service.